With Singster you can sing all your favourite karaoke songs, whenever and where ever! More than 1300 classic karaoke party hits are available instantly. You can record your performances and take part in thrilling competitions. Sing your favourite songs from a huge catalogue of top hits, or perfect a song and then share it with the world. 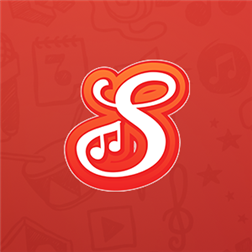 – Try Singster with 50 free songs and get a subscription account to unlock all the rest, more than 1 300 songs in English, Spanish, Italian, Swedish and Finnish! Find and follow your friends and meet incredible singers from all over the world. Sing your heart out with the large catalogue. Keep up with your friends and favourite singers, and love and comment on performances to show your support. Choose from a huge catalogue of songs, with the hottest hits by your favourite artists. Sing songs from an array of genres, from Pop to Rock, Hip-Hop to Musicals, Country to Classics. New songs are added all the time!